Today is the day- Organic Avenue’s Spring Cleaning Cleanse. I have been enjoying the best of NYC lately (drinking more than I should and eating out more than usual) and these cleanses always help me get back on track. 1. 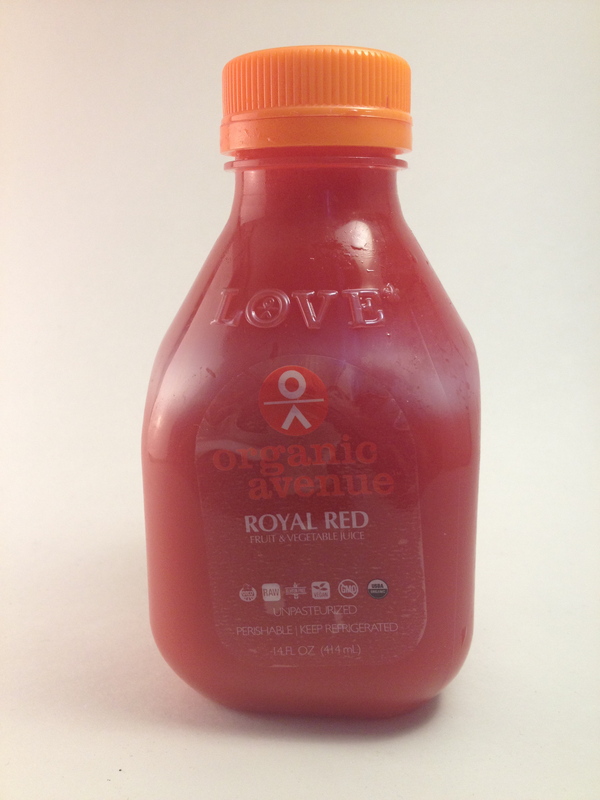 Royal Red Juice: From the brilliant color to the “WOW” taste, this is a fun juice for anyone who doesn’t take juicing so seriously! Antioxidant-rich carrots and beets meet seasonal sweet fruits of pineapple, pear and orange to create an energizing powerhouse. Pineapple and ginger can help alleviate nausea. Pineapple also contains bromelain which can help with inflammation and digestion. 2. 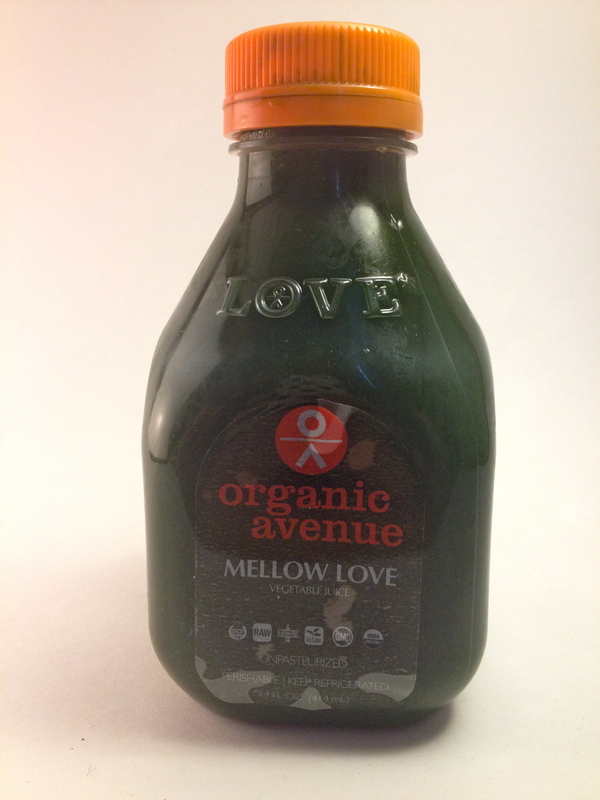 Mellow Love: If you like your greens easy and pure with no fruity additions, this one is for you. Five water-containing green ingredients; cucumber, spinach, celery, romaine and parsley, make this juice super hydrating with a mild, earthy flavor. You can spike it with a lemon or ginger booster if you like! This is full of antioxidants, folate, Vitamin K and C. Also, it has a low glycemic index which means low sugar. 3. 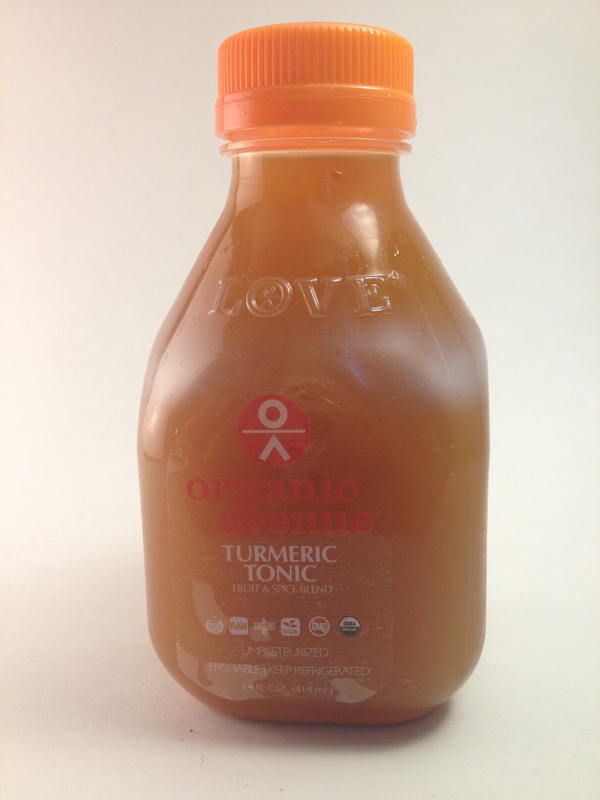 Turmeric Tonic: Whether you are feeling under the weather or want a preventative immunity boost, this tonic will not disappoint. The powerful combination of turmeric, ginger, cayenne, cardamom, lemon and coconut sugar bring out both sweet and spicy notes. Turmeric is believed to have medicinal benefits and has been used as a digestive aid, to fight a fever, relieve check congestion and reduce inflammation. 4. Carrot Juice: This is the perfect juice to satisfy a sweet tooth in a guilt-free way. 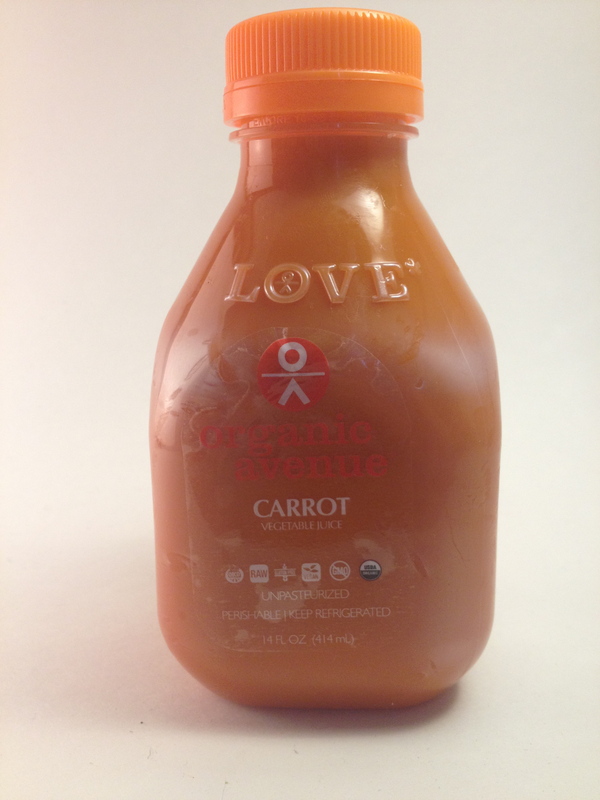 Our Caring Carrot juice is simple, naturally sweet and great to drink alone or mix with other juices. Carrots are loaded with beta-carotene, important for our eyesight. 5. 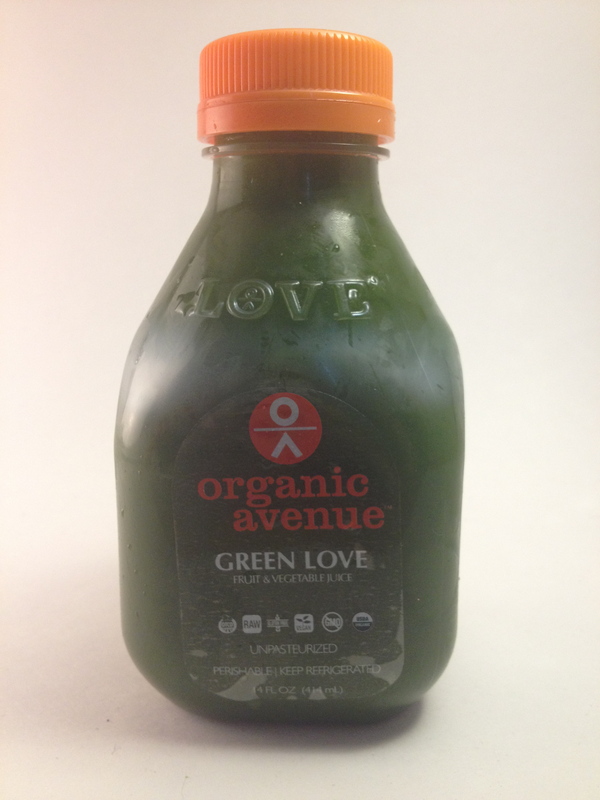 Green Love: This super juice is for anyone who wants to cram the most variety of greens into a few ounces of LOVE*. Pear and lemon sweeten up the bouquet of dark leafy greens including kale, Swiss chard, spinach, parsley, collard greens and romaine. Green vegetables are loaded with chlorophyll and vitamins and minerals, while the lemon is super alkalizing and cleansing. 6. 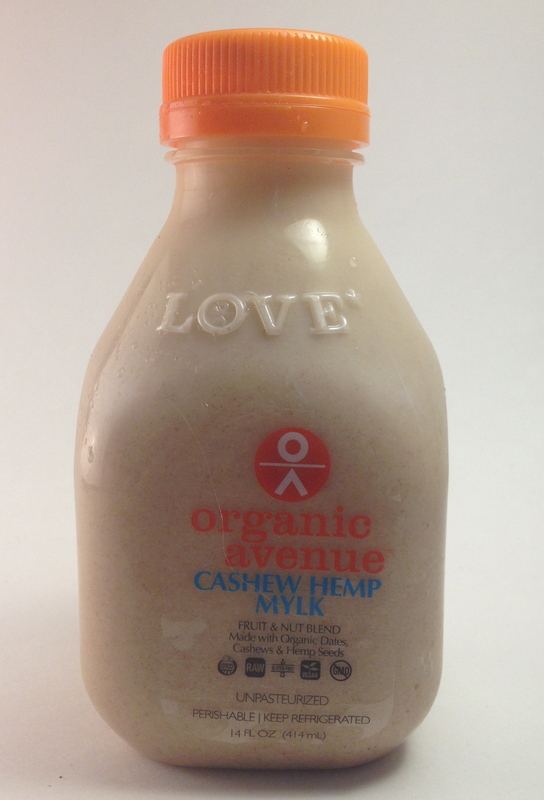 Cashew Hemp Mylk : This versatile mylk plays a starring role in many of our recipes. Cashews and hemp seeds are soaked and sprouted and then blended with dates, Irish moss and purified alkaline water. Hemp seeds contain essential fatty acids necessary for brain, heart and skin health. Irish moss is a sea vegetable that not only adds minerals, but also creates the thick creamy texture. Getting through the initial uneasiness (which is also caused by your body realizing it’s not going to get the regular morning coffee or cereal) is tough but it gets much easier and more enjoyable as the day goes on. The juices are delicious and surprisingly filling. 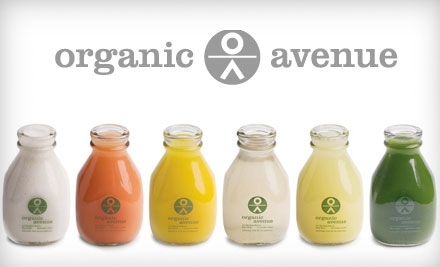 I’ve done cleanses before where I feel starved by noon but Organic Avenue is different. 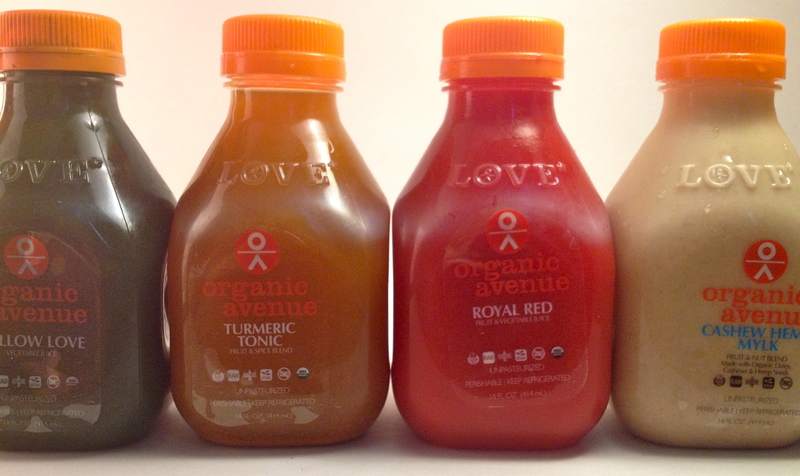 Each juice is made the morning it’s delivered from raw/live, organic fruits and vegetables. You are essentially drenching your body with pure nutrients. I’m working at the restaurant tonight which is ALWAYS a challenge when cleansing (it borders on torture) because I’ll be surrounded by mouth-watering aromas and stunning plates of yummy food. I guess we’ll see how it goes! All I know is that waking up tomorrow morning and feeling refreshed and renewed makes it all worth it! Sometimes I feel like I need to reboot my system and I have fallen in love with Organic Avenue. This New York based company delivers a day’s worth of juices and/or food to your door daily throughout your cleanse. Their cleanse follow the idea of LOVE (Live, Organic, Vegan, Experience) and all foods and juices are prepared the morning of delivery. I have tried their LOVE Easy cleanse, LOVE Deep cleanse and I am doing their 1-day Spring Cleaning clease this Thursday. Everything is delicious and you never feel hungry. By the end of the cleanse (I always do 3 days), you feel refreshed, recharged and full of energy. The cleanses are expensive, starting at $75 for one day, but to do once every few months or even once a year, it is so worth every penny. The 3-day cleanses are $210 but a great secret to save some money is to sign up for the 6am-8am delivery, which is FREE! I love free. If you feel like your body needs a little spring cleaning, check out their Spring Cleanse which is only $55 for one day!